Beneath the bustling cities of South Korea lie underground bunkers that have hardly been entered for decades. From a dictator’s covert hideout to infiltration tunnels dug by North Koreans near the Demilitarized Zone, some of these secret underground places are pieces of the country’s checkered history, although there are not many records that explain their mysterious existence. Late strongman Park Chung-hee’s secret shelter, or so believed by most people today, was discovered in 2005 during construction work for a bus transfer station in Yeouido. “It felt surreal. We checked every aerial photograph (of the area) and there was no trace of such a facility until 1977,” said Park Hyun-jeong, a Seoul City official in charge of urban development. Experts estimate that the bunker was constructed between late 1976 and early 1977 for the president’s hideout. The Cold War was at its peak globally at that time and military tensions between two Koreas were even higher. In August 1976, North Korean soldiers had butchered with axes two American officers who were trimming a poplar tree in the border zone. After the Yeouido discovery, officials suspect that there may be more secret facilities built for Park, who ruled from 1963 until his assassination in 1979, although their locations are unknown. 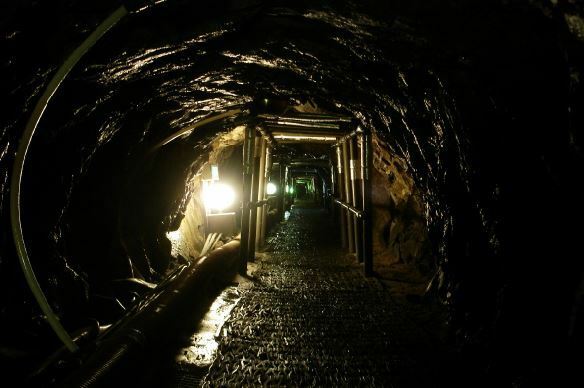 The hostile North contributed to the diversity of South Korea’s hidden underground world, building several infiltration tunnels under the border into the South. Some of them have found new life here as tourism destinations. The history of some other bunkers goes as far as back as the Japanese colonial rule of South Korea (1910-1945). The hidden bunker found near Gyeonghuigung Palace -- spanning some 1,300 square meters -- was equipped with a communication facility, presumably to prepare for air raids, experts say. After undergoing precise inspections and safety reinforcements, the bunker has been turned into an exhibition hall. “These bunkers are living evidence of our history. They were once forgotten, but are symbols of Korean history since the cold war era,” said Seoul City Mayor Park Won-soon at an event marking the public opening of the Yeouido bunker in October.